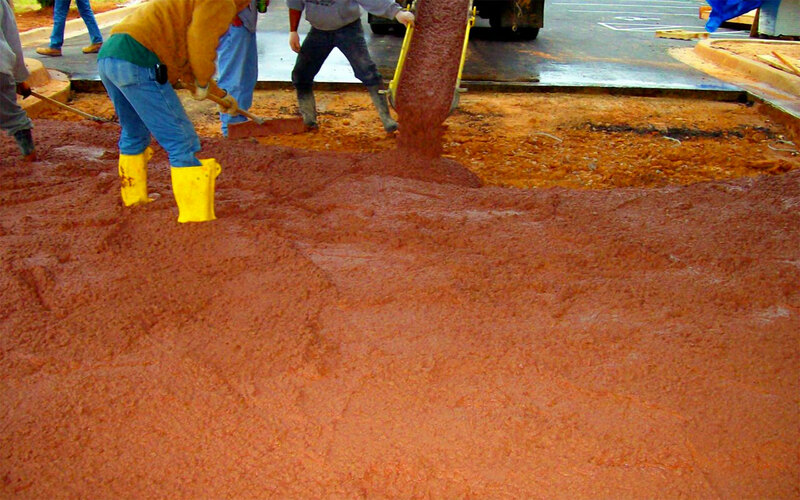 MASTERFILL flowable backfill is delivered on a concrete truck and has similar ingredients to concrete, but it isn’t concrete. 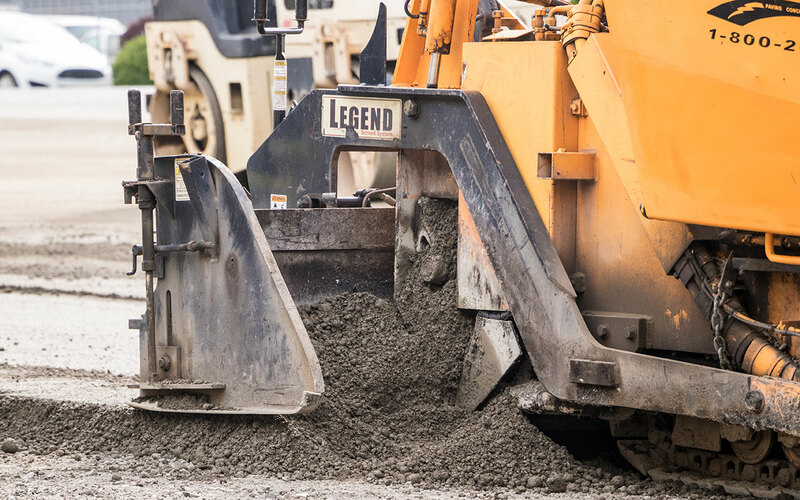 Instead, the cement, sand, water and fly ash combine to create a sturdy substitute for traditional fill that is also sometimes called controlled low-strength material (CLSM). Because it flows into place, MASTERFILL requires no compaction. 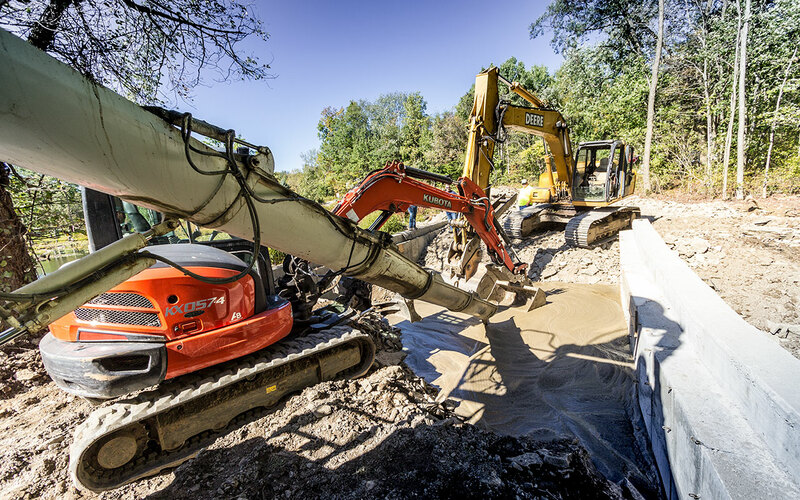 The viscosity and strength can be altered to meet the needs of any backfill projects, and its fluidity allows it to flow long distances to even the hardest to reach places. Because it flows into place, MASTERFILL reduces the cost of manpower and equipment. While traditional compacted fill requires a minimum of two laborers for placement and two laborers for compaction, MASTERFILL requires only one laborer for placement and no compaction. Labor & equipment costs for granular fill are 600% more expensive than that of MASTERFILL. Using flowable fill also eliminates the need for conventional backfilling equipment such as compactors and backhoes. The most common complaint from public works directors is improper backfilling. Frequently contractors are called back to repair settlement problems and ensure that backfilling will only need to be done once. Even lower strength flowable fill mixes offer twice as much strength as traditional backfill, and some flowable fill mixes can have as much as 10 times the strength of traditional backfill. Because it flows into place and settles on its own, MasterFill eliminates the difficulty of properly compacting material under and around pipes. Certain MasterFill blends have controllable set times and allows the job to be completed faster. Some MasterFill blends can be placed underwater, so in some cases trenches that contain water or moisture may not have to be pumped before MasterFill is installed. MasterFill eliminates the site crowding that comes with storing backfill materials on-site. MasterFill can be color-coded for utility identification. MasterFill is easily conveyed by pump, chutes or buckets.